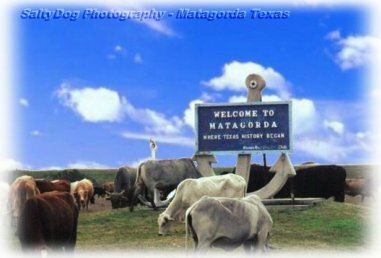 Welcome to Matagorda.com and great Matagorda outdoors! If you are looking for a great fishing destination, a fun day at Matagorda Beach, exciting Kayaking on Matagorda Bays, or the very best bird watching on the Texas Gulf Coast, you've come to the right place....Matagorda, Texas! Matagorda offers visitors a chance to get away from crowded beaches and relax with the family at Matagorda Beach or spend the day fishing on Matagorda Bays. Matagorda is rightfully becoming well know as a fisherman's Paradise....! East and West Matagorda Bays offer fishermen the thrill of catching trout, redfish and flounder while the Gulf of Mexico is easily accessible through the Matagorda Jetties for GREAT OFFSHORE fishing action! Boat ramps are located at several locations making for quick access to your favorite fishing spot. While visiting Matagorda, you'll need a place to stay. Many vacation homes are available for rental and many have water front or beach access right out your back door. Check out the individual rental listings for the vacation rental that just suits your needs! Leave something at home you meant to bring...?? No worry as Matagorda has several well supplied convenience stores as well as bait camps that have plenty the things you will be needing while vacationing here. All have an abundance of fishing tackle, ice, picnic supplies and if you strike up a conversation, you may get more information than you bargained for....Matagorda folks are friendly! Enjoy the views of East and West Matagorda Bays! At Live Oak RV - We have RV rentals too...! Check out our website for a GREAT place to STAY...! Waterfront Rental - Discover Matagorda...! The best built flounder gig you have ever seen...! Gulf Coast Waders - The best value in Breathable & Neoprene waders made today. 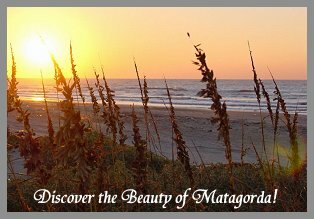 Enjoy What Matagorda Has to Offer....! Matagorda Surf Cam...Click for larger image!! Photos of the Parade and activities here!